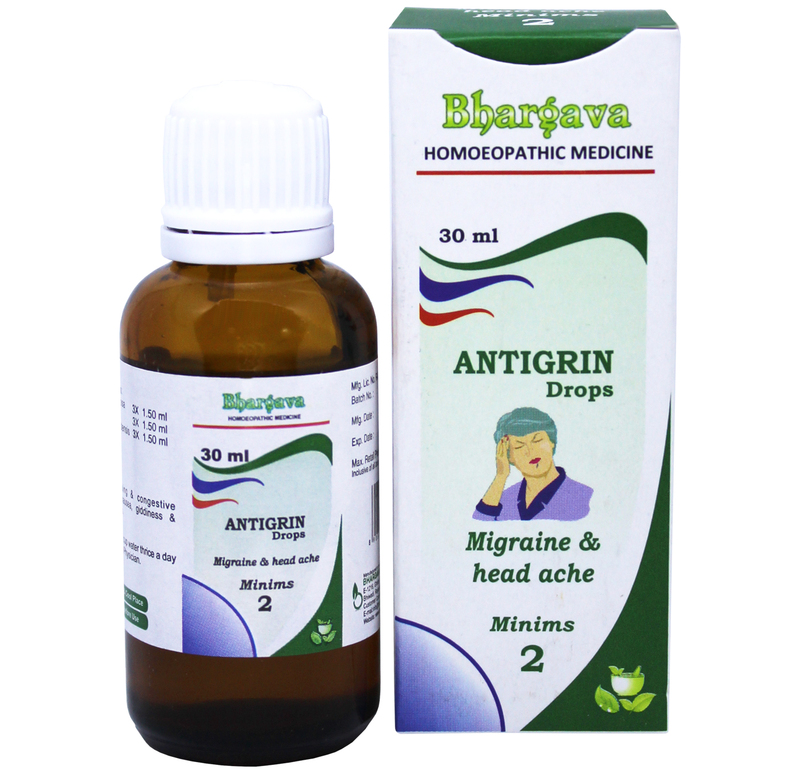 Antigrin Minims is a homeopathic medicine that is helpful for a migraine and headache. Doctor Bhargava Antigrin Minims is a result of techniques perfected over 100 years of practice. It is effective in a onesided headache, vomiting, bursting, throbbing & congestive headache with or without nausea, burning pain eyes, sun headache, and irritation from light and noise. Start taking Homeopathic medicine today and get the best treatment.